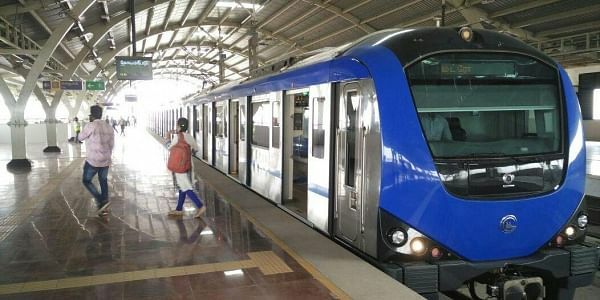 Chennai sources stated that as part of its commitment to provide eco-friendly green services, Chennai Metro Rail Limited (CMRL) would soon set up electric vehicle le (EV) charging stations at four metro stations in the city. A senior official associated with CMRL said “We are in the starting stage of setting up EV charge stations at four stations, namely Thirumangalam, St. Thomas Mount, Alandur and Koyambedu”. Moreover he added that 10 electric bikes and five electronic cars could be charged at the same time. Presently, CMRL is not levying any charge for parking electronic bikes and cycles at the metro station. As per report this move comes in light of the growing market for electric vehicles and the need to set up electric charging points for commuters. Moreover the major automakers in the country like Tata Motors, Mahindra & Mahindra as well as cab companies like Uber and Ola have expressed the desire to set up charging stations for electric vehicles in the country. Furthermore on the other hand, metro patronage doubled in peak hours after the inauguration of two major stretches including Little Mount to AG - DMS and Chennai Central to Shenoy Nagar. An official said “While there has been 80% spike in the average ridership, we witness 12,000 passengers on average during peak hours (8-10:30 am and 5-8:30 pm)”.